We get it. Car insurance isn't a fun topic. Insurance companies can be hard to deal with, and those policies are difficult to understand. All too often though, we meet clients who pushed "check on insurance policies" to the bottom of their to-do list. . . and it lead to terrible consequences. If you do nothing else, we suggest you take note of these 3 important steps- and share them with a friend. What will you do if you are rear-ended at a stop light by an uninsured motorist, and you suffer serious injuries? Maybe your car is involved in a hit-and-run, or the police can't find the at-fault vehicle. In any case, you must have enough uninsured motorist coverage to protect yourself and your passengers. 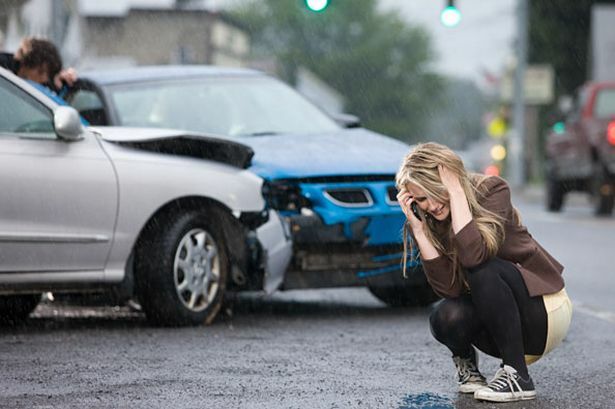 In Illinois, the minimum required UM coverage is $20,000 per person/$40,000 per crash. In Missouri, the amout is $25,000 per person/ $50,000/crash. but as we know, medical bills can quickly exceed that amount. As you'll read in the article, even $250,000 didn't completely protect the driver, but without the coverage, the crash would have devastated her family. An umbrella policy does just what it says. It shelters all of your other policies and covers things that might not otherwise be taken care of by your policies. For example, many people have $300,000 worth of coverage in the event that someone is injured in a crash caused by the insured. While this may seem like a perfectly sufficient amount, with an ambulance ride and a surgery or two, the bills could well exceed that coverage. If you purchase a $1 million umbrella policy for $20-$30 a month, it will cover the costs associated with your crash up to $1 million. A small price to pay for peace of mind. Life changes. Babies are born, loved ones die, homes are purchased, and teen agers start driving. Your insurance coverage should change along with your life. Visit your agent or shop around with other insurance companies every year or two- especially when you experience a major life change. We have an important resource that everyone with a license should grab. You can download our free Illinois or Missouri guide about what to do in a car crash, or have a hard copy sent right to your house. For a free consultation, call us today at 855-522-5291.